Timmy Hansen finished third to make it a double podium for Team Peugeot-Hansen. Reigning World RX Champion Petter Solberg clinched the runners-up spot and has extended his Championship lead over Sweden’s Johan Kristoffersson by 35 points. In the second round of the FIA European Rallycross Championship (Euro RX), Marklund Motorsport’s Tommy Rustad took the chequered flag. Albatec Racing’s Jerome Grosset-Janin finished runner-up and was joined on the podium by his fellow Frenchman Fabien Pailler who secured third place. Rustad’s win in Germany sees the Norwegian close the gap on Euro RX round one winner Grosset-Janin, who leads Rustad in the overall standings by a slender two points. “To win today feels incredible, it’s been the perfect weekend for me and it’s really fantastic for the team to have Timmy on the podium too,” grinned Jeanney, who enters the record books after becoming the first Frenchman to win a round of World RX. 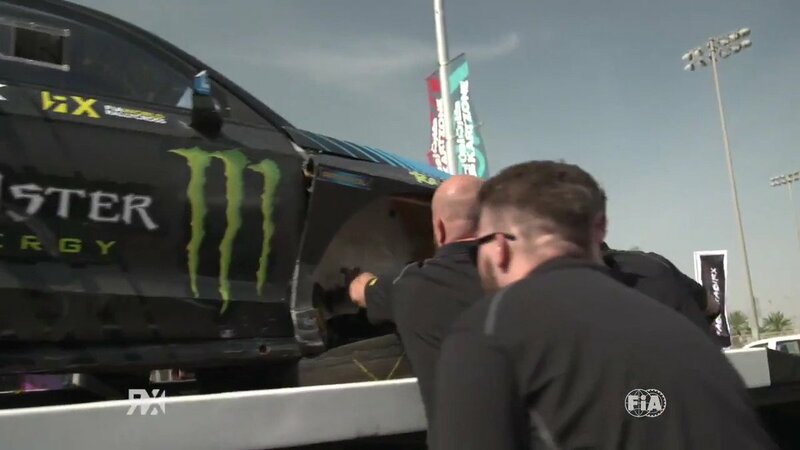 Jeanney also won the Monster Energy Super Charge Award for his rapid start off the line, as well as a limited edition Rebellion Timepieces Wraith Drive rallycross watch. Following another impressive drive in the Volkswagen Sweden Polo RX Supercar, Kristoffersson finished fourth in Germany. Fifth place was awarded to Marklund Motorsport’s Tord Linnerud after Ford Olsbergs MSE driver Andreas Bakkerud was excluded from today’s final following contact with Linnerud at turn one. In S1600, Denmark’s Ulrik Linnemann took the win and is now third in the standings with Janis Baumanis at the top of the table. Russia’s Timur Shigabutidnov and Hungary’s Krisztian Szabo were second and third respectively. The World RX crews will now have a week’s break before the Championship resumes in Sweden for the iconic Holjes event (3-5 July).